I'm loving this! 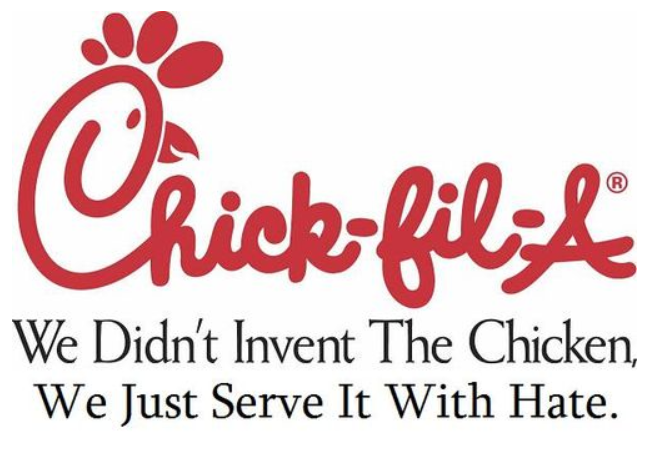 I've been telling my friends for a long time that Chick-Fil-A was anti-gay. Spreading the word was slow going...until their CEO opened his homophobic mouth. Thanks for getting the word out, bud. The Jim Henson Company creator and owner of The Muppets which in the past has had promotional deals set up with Chick-fil-A’s for its childrens’ meals which included promotional toys, a series of Bear in the Big Blue house books, five Pajanimals books in 2011, and a Jim Henson’s Creature Shop toy series in 2012 has severed all business ties with the company. 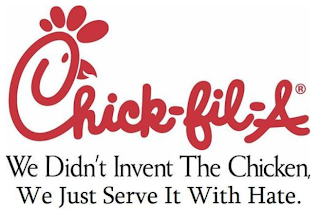 The Jim Henson Company will also donate all payments from the company to them to an LGBT organization and has joined the National Boycott due to Chick-fil-A’s anti-gay stance.